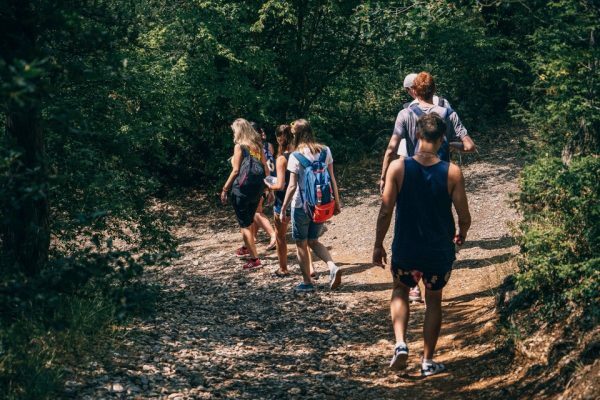 There are several incredible Amelia Island nature trails to consider for any serious hiking enthusiast and outdoor adventurer. In addition to several fascinating Amelia Island parks conveniently located right on the island, the state parks near Fernandina Beach provide a memorable experience to see all that nature has to offer in this beautiful vacation destination while getting some excellent exercise. How to get there: This one is easy and just a few minutes from Amelia Island. Just head south on Florida A1A S. Cross the George Crady Bridge and you’ll find yourself at the park. This spot is mostly a nature preserve where you will often find people studying the natural habitat, bird watching or taking photos. Several trails provide a great set of hikes ranging in distance and difficulty levels. The unique Boneyard Beach is famous for salt washed oak and cedar trees that end up on the shore. Take a walk, and you’re bound to see shore and marsh birds like terns, brown pelicans, and black skimmers. There is a scenic and exciting trail within this park called the Big Pine Trail. It is the furthest south trail on Big Talbot Island and will take you on a meandering adventure through a slash pine forest. Red bay, holly, and live oaks create a shady trail—but be careful of the poison ivy that sometimes comes onto the footpath. 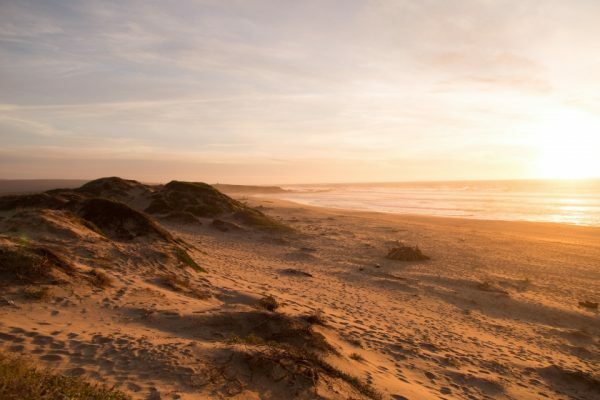 A quick 0.8-mile stroll takes you through maritime forests to a sandy bluff sitting above an estuary where you will find a breathtaking view. The area is often breezy and will keep you cool no matter what the weather is. Head down the to the marsh and explore even further. How to get there: Little Talbot Island State Park is directly south of Big Talbot Island State Park on Florida A1A S.
From Amelia Island, head south on Florida A1A S and cross the George Crady Bridge. 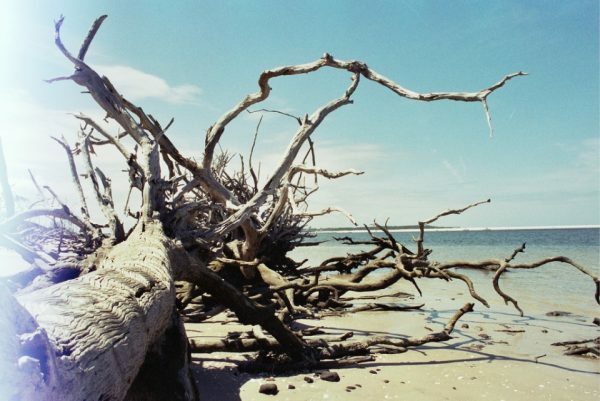 Continue on Florida A1A S after leaving the island, drive about a mile past Big Talbot Island State Park, and you’ll find yourself at Little Talbot Island State Park. This park has two trails—one longer and one shorter — that will take you on a journey to see the coastal habitats that make up the island. The longer trail is a 3.5-mile loop that will take you past the beach with the opportunity to see gopher tortoises, unique bird species and other local wildlife. About halfway into this hike, you’ll come out into the dunes capped with palm trees—this is the best spot to see the tortoises. This trail will loop you back around to where you parked. How to get there: Just under an hour drive from Amelia Island— take any route to FL A1A N/State Rd. 200 and head west out of Amelia Island. After about 16 miles turn right onto Griffin Road and continue onto Middle Rd./Musslewhite Rd., then turn right onto Sauls Rd. Drive about 3.5 miles then turn right onto US-1 N/US 301 N. Drive 4.5 more miles north then turn right onto Clint Dr. to reach the forest. This state park near Fernandina Beach sits right on the state line southeast of Folkston, Georgia. If you’re looking for a secluded spot to get away from your busy everyday life with more challenging hikes, this is the place for you. Hikes include a 7.1-mile-long trail and a 9.3-mile-long trail—both are loops. The waters of St. Mary’s River form the state boundary and you’ll see some of North Florida’s rarest flowers here—including balduina, hartwrightia, and Bartram’s ixia. The hikes are of moderate difficulty.